In the barn with Beau last summer. I am excited this morning because I saw the cover of my CD yesterday. We worked on it with Barbara after the person who designed it sent us a copy. I can see it now! It is so beautiful. There are a lot of things to share so there is a lot of writing on it, but it is turning out great. I am amazed that it is so close to being done. They said when I give the final ok, it will take about 10 days for my CD to be ready. It’s so beautiful! 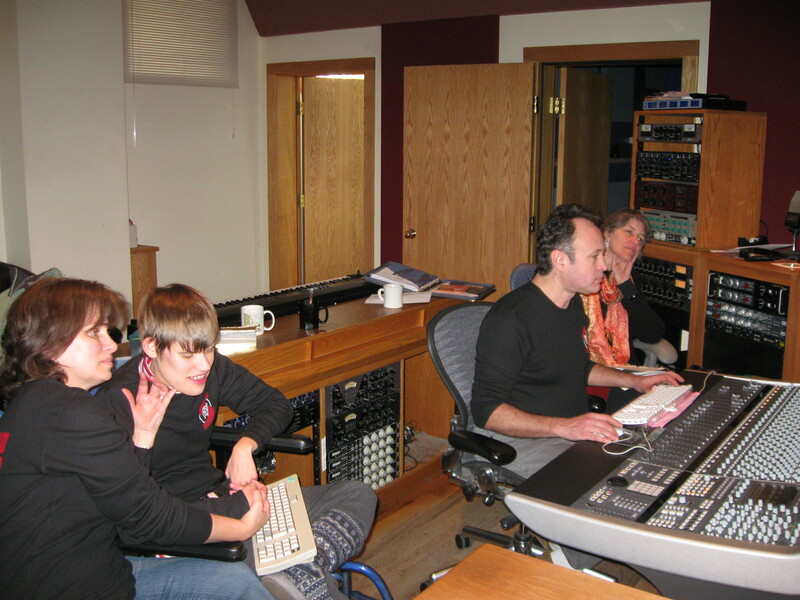 I feel so fortunate that people who have helped me get my songs recorded are wonderful. They are so eager to be part of this miracle with me. I have never thought that in this lifetime that I would be free. Free to express myself so others can hear me. Free to be seen as someone who is intelligent. Free to be seen as a valuable part of this world. It has happened! It has happened because many people have given me the chance to be heard. I am so excited that Barbara McAfee is the woman who said yes to producing my CD. She has honored me so much by her kindness and willing heart. I will be meeting with her, my Mom and Peter Mayer in a couple of weeks. He is a musician who has recorded a lot of music and is interested in visiting with us about how he does it. It’s an exciting and exhausting time for me. I heard from a mom who has a daughter with Rett syndrome. She works with Deepak Chopra. They are interested in what I have to say. She has some great ideas about writing. I don’t know how it will happen yet, but I am learning more and we are asking lots of questions. It is another way that I feel God has blessed me. I don’t believe it myself yet, that I am helping others. I am helping them see that all humans were created equal. That we all have value, that we can be peaceful with each other, if we respect that we are all created by God. I don’t have any more intelligence than the next person. I just have an open heart. 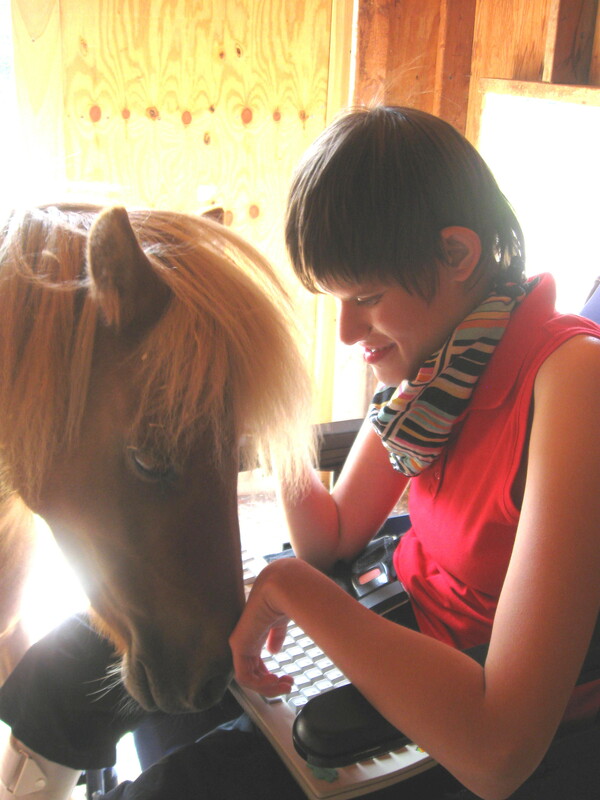 I can say that of all the girls with Rett Syndrome I know, we are gentle, peaceful, loving people. Maybe that’s the best way. I send you peace today. During the photo session I was so relaxed that I curled up in the chair. I like this one of me. I am calm. It doesn't happen often that I am still. I have completed my part in getting my CD ready. I have written all my song descriptions, the information I have selected to put on my CD cover, the photos and the song order are all done. The mastering is taking place this week, so my CD will be ready to be copied after that. The cover design will be done soon. I feel so fortunate. I would never have imagined this happening to me. I don’t forget the days that I spent wondering if my life was worth living. I remember how it felt to be unnoticed, and undervalued. I don’t forget how it felt to be isolated in my body because I had no way to communicate my thoughts. I don’t forget how it felt to not have friends who knew me. Who knew that I am capable of intelligent conversations. I want to tell my friends who are living those days right now that I understand and I believe in you. I believe in your ability to be a contributing person to your family, and your school, and your community, your church. I have been given the opportunity to share my life with the world this past year. Because of that my life has changed. I never knew that I would be given a voice in this lifetime. I am so glad that my story is helping others wake up. I know that this is not me that has made this happen. I trust God. He is my best friend. He knows me. He knows who I am apart from Rett Syndrome. He doesn’t see my life as a burden. My family has given me freedom to be the person I am because of great sacrifice on their part. I know that I am loved. I know that I will have an opportunity to help change my world because of my Mom and Gregg’s willingness to give me opportunities. I am fortunate and I am grateful. My sister Leah reads this poem that I wrote, on my CD. 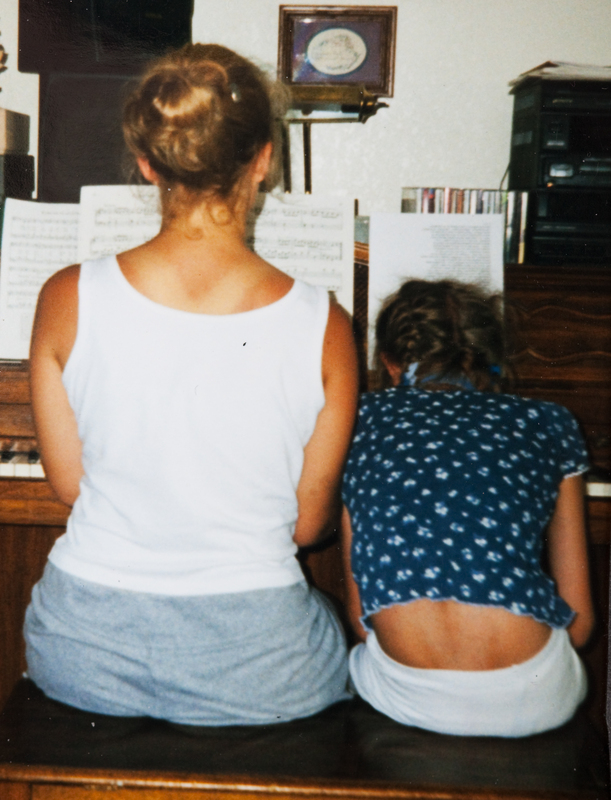 This photo was taken of me and Leah about 12 years ago. 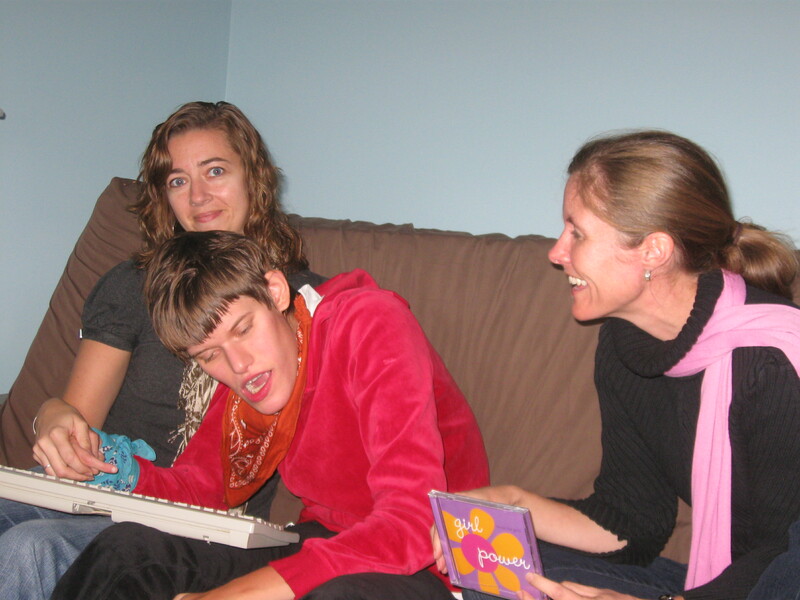 Ingrid Harding came to meet us and my friend Elizabeth who also has Rett. 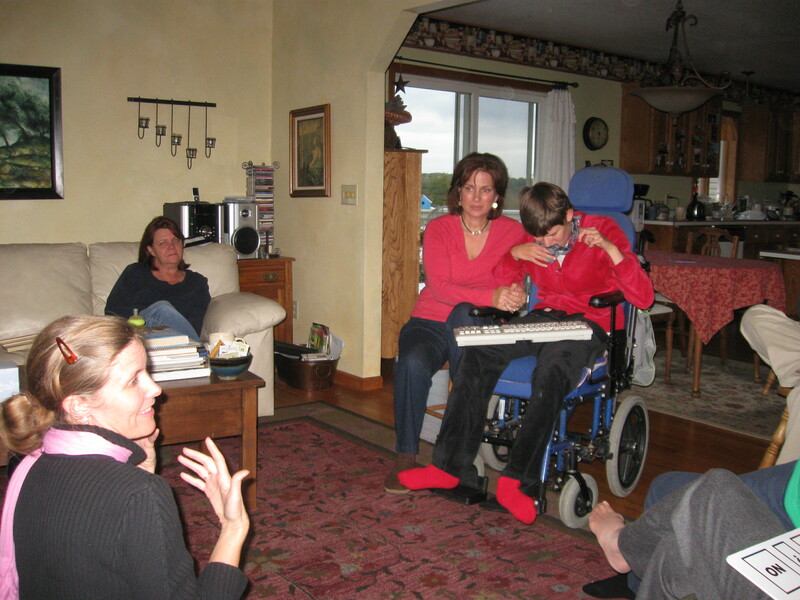 I was so glad my friend Amy was able to come and help me visit with Ingrid. 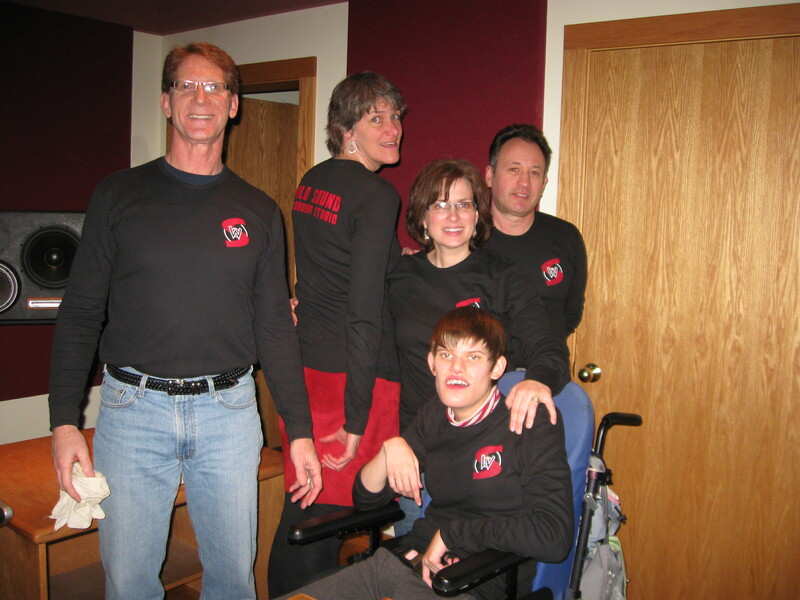 My friend Ingrid Harding has done so much for Rett girls and their families. She has raised awareness and millions of dollars with help from others for Rett research. I loved meeting her when she came to our house last Fall. I have the magnet for her group: Girlpower2cure on my van. I hope you watch this video of the story that was done about her and her daughter. They are using their story to help us. I like this one. It doesn't show my movements. It has been a very wonderful and amazing time for me. 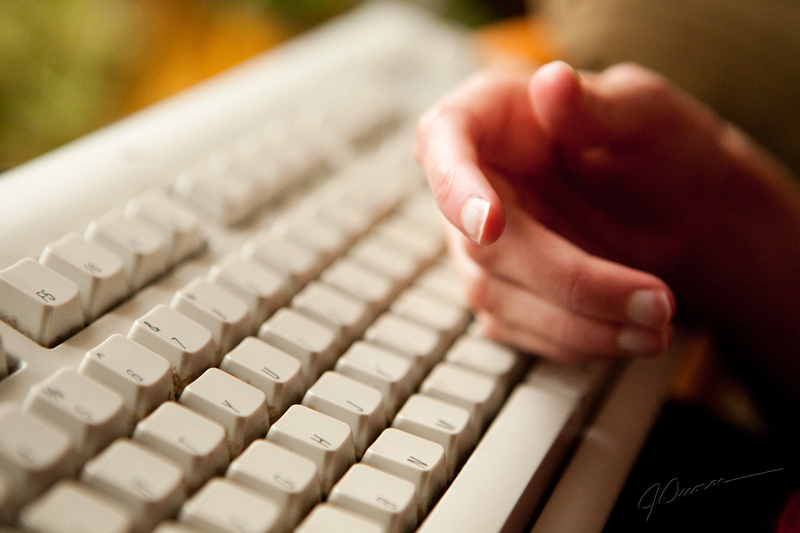 It was a week of many emails and responses to my blog. It was fun to have Leah here until Sunday. I love to spend time with her. She added so much joy to the recording sessions. To have her read my poems created a voice for me that I love. We have a rough copy of the CD and I want to tell you that it sounds exactly as I heard the songs when they came to me over the past ten years. I composed them for piano because that is the instrument I heard, but to have Leah’s viola playing was perfect. She added so much richness to the piano parts. Gregory Theisen gave new life to my songs. I feel so honored and excited. We are going today to look at the photos taken by Jeff Dunn. He was here at our house last Monday and has his photos ready for us to choose. 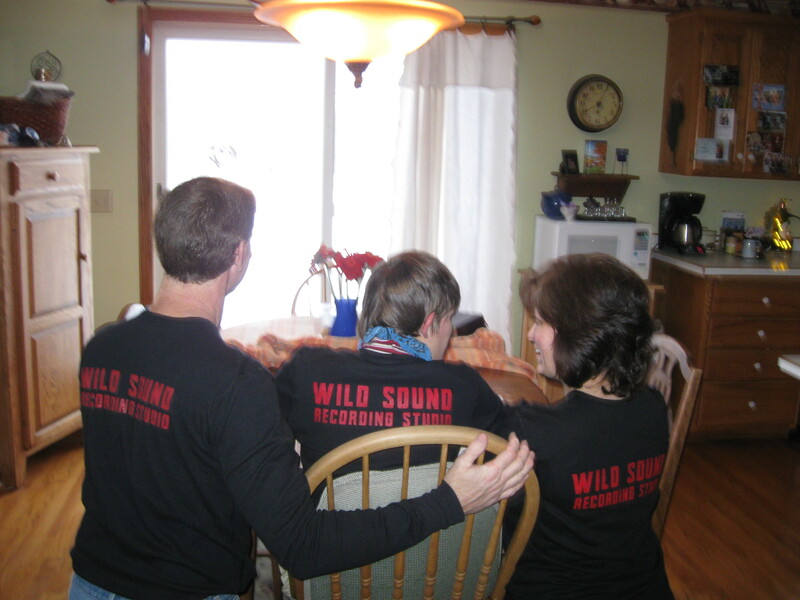 We will be going back to Wild Sound Studio next Monday to help with the finishing part. It is a fun time. I am still perfecting the song descriptions. I’m struggling with it because I wrote some of the songs years ago and I remember them well, but it’s hard to write a lot of interesting details about them. It’s easier for the newer songs. I loved working with Matthew and Gerard at the studio. They are so gentle. Barbarba McAfee is so thoughtful to me. She has been a true friend. I feel so glad that she is part of my CD. I loved this one of Mom and me. It shows how we spend much of our time. You can't see my keyboard but it's always there!! This keyboard is my voice. I use it with a few people but the best with my mom and Amy. It has freed my spirit to be able to express my thoughts. This is the piano we have had in our living room since i was a baby. I love this photo because even though i can't play the notes myself. I have drummed the keys all my life. 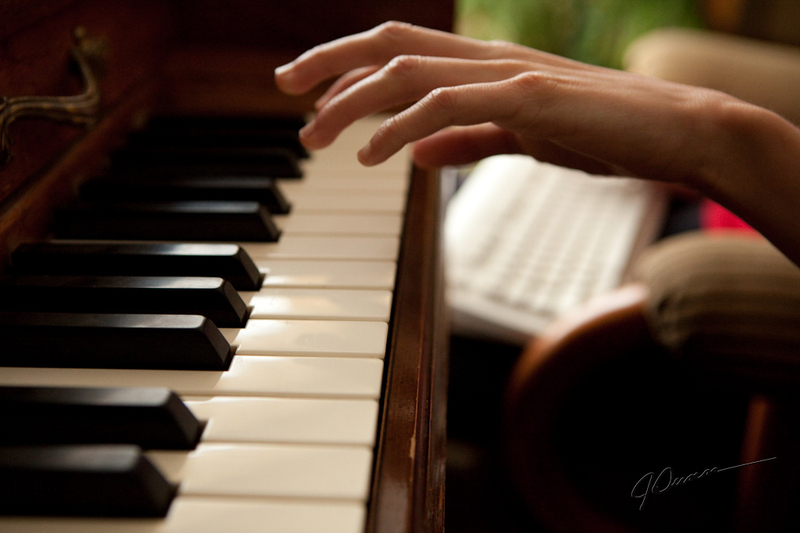 Jeff felt like this photo was my hands drawing the music out of the keys. I like that image. My mom took this photo last summer. Jeff changed it to a different color. We love it. 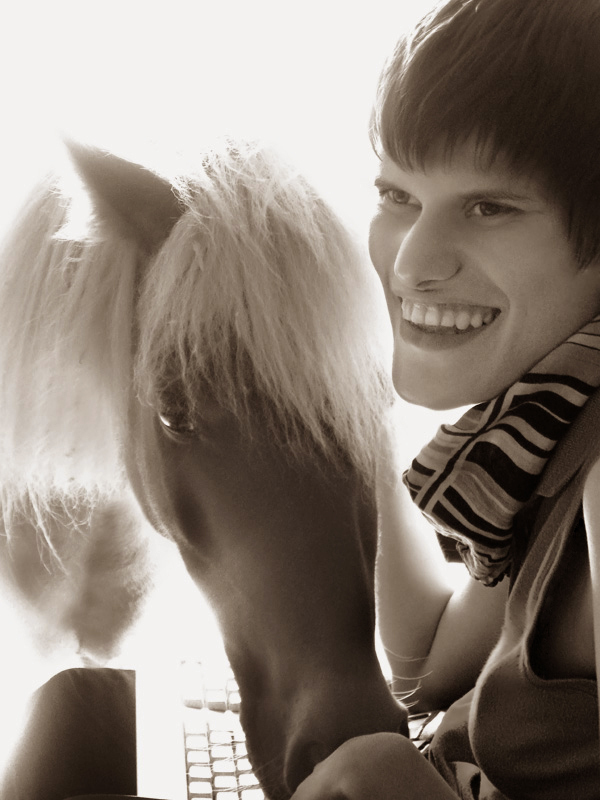 It might be on my CD cover because one of my songs is My Pony, My Beau. It is so relaxing for me to spend time with him. I miss the summer days.